ISRI’s electronics division leadership has agreed to step up ISRI’s safety efforts for facilities with potential high risk exposure for certain heavy metals such as lead. The leadership has asked ISRI staff, Eric Harris, Director of Government and International Affairs and John Gilstrap, Director of Safety, to reach out to NIOSH (The National Institute for Occupational Safety and Health) while at E-Scrap to better understand a pending workplace health hazard evaluation (HHE) expected to be released from NIOSH in the coming months. The pending HHE is based on a voluntary NIOSH inspection at an e-stewards certified facility that processes CRT glass. Notwithstanding the HHE report, ISRI’s leadership is committed to ensuring that the industry has the proper awareness training and guidance to protect the health and safety of its workers. Initial feedback from NIOSH supports the need to focus ISRI’s safety efforts on preventing initial exposures. Moreover, when there is a reasonable possibility that workers may be exposed to such risks, electronics recyclers have an affirmative obligation to prove that their workers are not being exposed. As part of ISRI’s “Safely or Not at All” policy, the electronics division is committed to preparing additional education and awareness training opportunities and further guidance to its members to identify and prevent risks and protect workers from such potential exposures. ISRI’s Director of Safety, John Gilstrap, will be offering a webinar on lead exposures on September 19, 2013, at 4 p.m. EST. In this short video from the E-Scrap Conference in Orlando, Kyle Wiens of iFixit discusses efforts in Congress to reverse the Library of Congress’ decision to make cell phone unlocking illegal. Legislation that makes cell phone unlocking legal, at least temporarily, has a promising future as it moves forward on this issue that is of high importance for ISRI members. “Bottle Bills” have been on the books in Massachusetts and Iowa for years. Everyone in America who’s purchased a drink in a plastic or glass container in recent decades is familiar with the 5- or 10- cent deposit paid on each bottle or can. This small fee is returned to the consumer to help insure the container is brought back to collection centers for recycling. These programs cut down on litter and reduce solid waste in the states’ landfills. The Container Recycling Institute, which advocates for the expansion of container recycling in the U.S., reports a beverage container recovery rate of 85 percent in 2012. “There are over 40 container deposit systems in place around the world and, for the past four decades, these systems have consistently achieved superior recycling rates,” Susan Collins, President of the Container Recycling Institute, said in a published report on the organization’s web site. Consumers aren’t really getting free money when they take carefully hoarded cans and bottles to collection points – it’s money they’ve already spent without thinking about it, added at the time of purchase. What’s interesting about Iowa and Massachusetts is they are the only two states in the U.S. that have bottle bills – but no Extended Producer Responsibility laws for electronics. Would a similar get-paid-to-recycle bait and switch work in states that have bottle bills, but no electronics recycling laws? In many states with electronics recycling laws, consumers pay a fee at the time of purchase of new electronics to subsidize recycling of obsolete equipment. In non-Extended Producer Responsibility states, consumers often have to pay a fee to recycle TVs and computers. But what about a refundable deposit on electronics? Something that the consumers pay up front, and then get back when they bring recyclable materials to collection points? This system may not work well for large items with extensive use lives – things like TV sets, computer monitors that last for years – but for smaller items like mobile phones, which many people keep for two years or less – or tablet PCs and laptops. While a deposit-return system may not be practical for electronics, Californians pay an Advanced Recycling Fee at the time of purchase for many different types of electronic products. The state has one of the strongest electronics recycling infrastructures in the nation – and it might be due, in part, to residents wanting to get the recycling service they’re paying for at the time of purchase. Such fees serve a double purpose – they make consumers aware of the costs of recycling their old products, and they help to support and develop an industry where capricious commodity pricing and dwindling end markets for CRT glass make profitable electronics recycling challenging for recyclers. Representatives from across different segments of the U.S. and international electronics recycling and reuse industry testified before the U.S. International Trade Commission in Washington May 15. Early next year, the U.S. International Trade Commission hopes to produce a definitive, unbiased report on how much electronics recyclers are exporting to foreign markets for reuse and recycling. The U.S. ITC is a bi-partisan, independent federal commission, created in the 1916, which operates in part as a think tank for Congress and the U.S. Trade Representative on trade-related issues. The major operations of the ITC include conducting anti-dumping investigations, studying performance and global competitiveness of U.S. industries and the impact changes in trade policy might have, trade information services and trade policy support. The office plays no role in the development of trade policy and makes no recommendations on policy, only studies the impact policies have or might have for the federal government. -the type, volume and value of, and foreign markets of significance for, exports of used U.S. electronic products. – the forms, activities and characteristics of U.S. exporting enterprises. If possible, the U.S. ITC is also trying to determine volumes of used electronic products from U.S. companies that are sold for export, sold to U.S. firms, processed by exporting companies and disposed of by exporters. One thing Laura Bloodgood of the U.S. ITC says researchers have observed is a dichotomy in the industry between those who think exports should be encouraged and those who do not. For a full list of testimony at the hearing, click HERE. During the May 15 hearing, Joseph Pickard of the Institute of Scrap Recycling Industries testified on the global nature of scrap trade and how electronic scrap fit into that picture. “The demand for scrap as feedstock by industrial consumers and manufacturers is truly global in nature. In 2011, the U.S. scrap industry exported scrap to more than 160 countries worldwide while generating nearly $40 billion in export sales and positively contributing to our balance of trade in the amount of almost $33 billion. Taken as a whole, scrap exports were among the top five exports by value from the U.S. last year,” he said. HiTech Assets reported, that reuse comprises 91% of its annual revenue, and that 595,000 pounds of electronics were exported in 2011. The top market for its exports was China, which generated 52% of the company’s resale income. Another 28% was generated by Africa and the Middle East, with 9% of the company’s resale income generated from North and South America. Epperson testified that the company’s electronics sold for reuse are sold in fully working and documented condition. Willie Cade, of PC Rebuilders and Recyclers, testified that his company has observed electronics deemed ‘unusable’ in the U.S. are still highly useful elsewhere in the globe. Cade also said he felt much of the negative attention on recycling and reuse of electronics overseas is outdated. Pickard added that exporting used electronics for reuse is ethically sound. Data security is an important part of electronics recycling, one that many people overlook, says Jade Lee, president of Supply-Chain Services. She tells the story of a client involved in handling sensitive health data for individuals. “The client had strict protocols for data security and protecting the information of the data inside its operations,” she said. However, when it came time to dispose of the technology that managed the sensitive data, such vigilance lapsed. “The procedure was to set the equipment out on the loading dock for pickup,” she said. Policies for tracking and documentation of security stopped once equipment had been identified for recycling. Technology can include multitudes of personally sensitive data in its disks and drives: credit card and bank account information, contact numbers, health data, family histories, in fact nearly everything identity thieves or other criminals could need to steal identities or access to financial data. For corporations, sensitive business information can be left behind that should not be released to the public, for competitive or liability concerns. Supply-Chain Services, based in Lombard, Ill., firm is a leader in electronics recycling, asset management and other essential services for large companies. 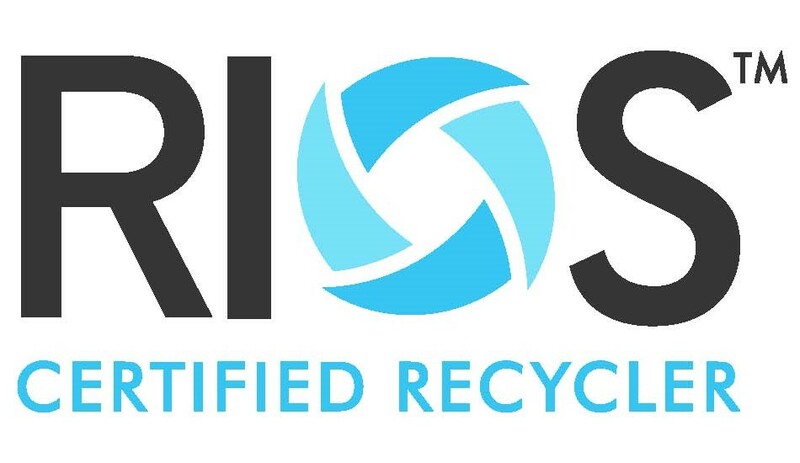 The company holds six certifications relating to recycling and asset management: ISO 9001: Quality Management System, ISO 14001: Environmental Management System, OHSAS 18001: Occupational Health & Safety, National Association for Information Destruction (NAID): Certified on Electronic Data Sanitization and Destruction, R2: EPA’s “Responsible Recycling” standard and RIOS™ the Recycling Industry Operating Standard® that incorporates the key operational controls for Environment, Health and Safety and Quality, which is also an accredited management system standard developed for the entire recycling industry. Lee said she wants her clients and the general public to consider what will happen to their technology assets after it leaves their hands. Even people who bring their electronics into state or manufacturer sponsored electronics recycling programs should consider what happens to their sensitive data after it leaves their possession. Governments who operate electronics recycling programs for their residents should also take care to ask difficult questions of their service providers. They should visit the facilities where electronics will be handled and audit their service providers to ensure data security measures are in place. The proposed changes to rules governing the recycling of Cathode Ray Tubes were a topic of hot conversation in Las Vegas last month. William Damico, a Region 5 EPA Enforcement Officer, spoke at the recent Institute of Scrap Recycling Industries’ annual Convention and Expo in Las Vegas, hoping to offer the EPA’s viewpoints on the rule and to clear up any confusion on what the government agency is trying to accomplish by revising its regulations. The electronics recycling industry is currently operating under a CRT rule passed on July 28, 2006. The rule didn’t clearly address many of the realities of exporting CRTs for recycling, Damico said.. A revision by the EPA in 2011 hopes to clarify the government’s position on management of the materials and how the EPA plans to enforce the regulation. In order for others to utilize those recyclable items, it’s a must for recyclers to dismantle the product before shipping it out of the United States’ borders, Murray said. He noted his organization is supporting barring the trans-state shipping of non-dismantled CRTs for recycling. Leaded glass found in the CRTs must be included in the recycling loop, but the markets for the material are drying up. Prices have declined drastically in recent years, said David Cauchy of Closed Loop Recycling. Cauchi said the CRTs need to be recycled as a whole and not just end up a fodder for a landfill. “We feel there should be places where CRTs are processed in their entirety and make a profit at that facility so it could compete with landfills,” he said. EPA’s proposal to impose additional notification requirements on exporters handling used, intact CRTs intended for re-use raises jurisdictional issues, according to the Institute of Scrap Recycling Industries. Despite RCRA (Resource Conservation and Recovery Act) jurisdiction being limited to materials that have been “discarded,” the proposal intends to expand EPA’s reach to also cover used, functioning CRTs exported for reuse. The rationale is based on the grounds that the export of such used products might actually be intended for some purpose other than re-use and therefore raising a concern that the CRT’s might be improperly discarded at a future date and place. This assertion is contrary to US law as RCRA’s jurisdiction does not extend to reusable CRTs, especially functional units, ISRI says.